I first met Katie at Daisy and Bing's Botanical Garden Wedding in Chicago, she was one of the stunning bridesmaids. 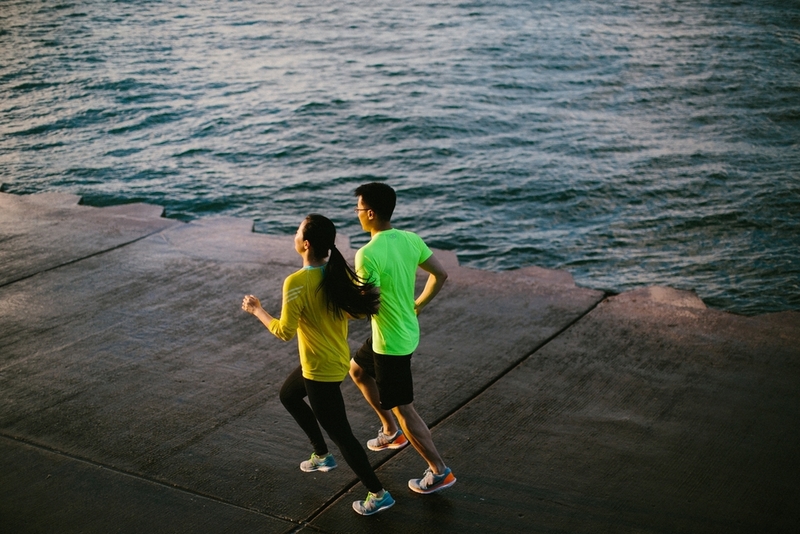 Katie and Frank met in Chicago and ran 6 miles together for their first date and they carry on the tradition daily. Running the 3 miles from their apartment, through Museum Campus and around Adler Planetarium. 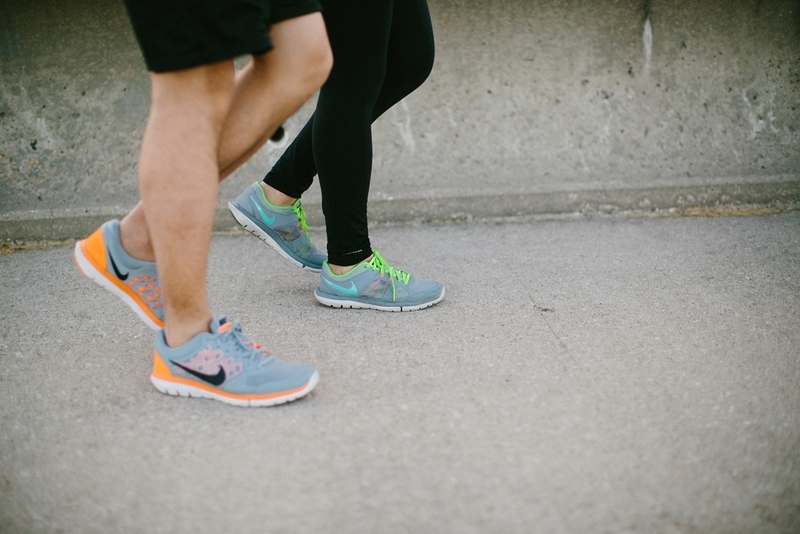 Frank was the only person that Katie has ever run with, and the only person she ever will run with - there was no doubt that running would be included into their engagement session. The best part was the transition between Katie and Frank in their 'formal clothes' and Katie and Frank in their 'workout clothes'. There existed this unmistakable level of comfort once they changed. You could tell they felt "at home" with one another while running. It made me smile and so incredibly grateful that they shared their passion with me. At the very tip of Adler, there a point where you can look out and only see the vastness that is Lake Michigan. Katie describes this location as "at the edge of the world" - it's one of their favorite locations in Chicago, and it's no mystery as to why.